Parkham Chapel is a small rural Church with close links to St James, the local Parish Church. 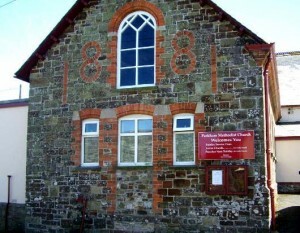 Within the village, the two congregations try to support each other. In particular on the second Sunday of the month, we hold the SUNDAY BREAKFAST from 10am. This is an opportunity for anyone to come along to share food and friendship. There are activities and creative things for children to do. Bacon baps, toast and drinks are served. There is plenty of time to talk or to sit and read/be quiet - just as you feel you want to. At the end of our time together we gather to see what the children have been up to. Singing a couple of songs and a thought for the day finish off the morning. Folk are invited to come for part or all of the time. Morning worship is usually at 11am, there is wheel chair access and a space for pushchairs/prams etc. A projector is used to show hymns, readings, DVDs etc which offers diversity within worship. We are seeking to offer a range of worship services and this is an on-going process. There is a Ladies meeting on the first Wednesday of each month at 2.30pm. There is usually a speaker or a trip out, followed by refreshments and of course, good company. 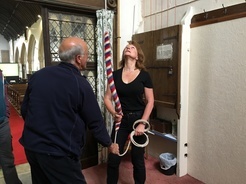 Other ad-hoc activities include the Knit-In to raise funds for the North Devon Hospice (February), Mission Lunch (June), Village Fete (August), Harvest Supper & Auction (September), Christmas Nativity Live on the Farm (December). There is a monthly Thursday Youth Drop-In club (run separately to Church activities). 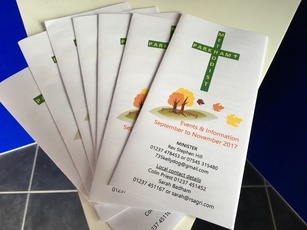 We have recently launched a new quarterly news-sheet to enable the Chapel to keep in touch with friends and to publicise the various events occurring. 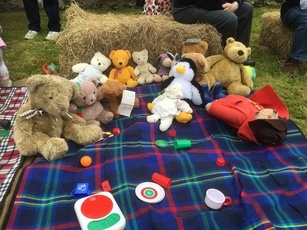 August 2017's Sunday Breakfast included a Teddy Bears' Picnic, which was enjoyed by all, including a visiting family holidaying in Parkham, who said "it was particularly memorable to attend the teddy bears picnic at the Methodist Church, thank you for a warm welcome". 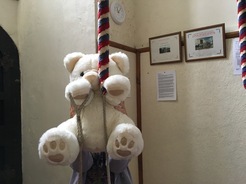 A good number of people tried out the bell-ringing opportunity during Sunday Breakfast at St James in September, including Sebastian Bear, our mascot. 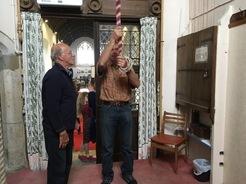 The younger folk made musical instruments during their craft activities and we were reminded during the joint session of how bell ringing chimes out, reminding us of the Christian message - Christ's sacrifice for all. Sunday Breakfast meets on the SECOND SUNDAY of the month (except November which is the first Sunday) from 10am, alternating between Chapel and Church. 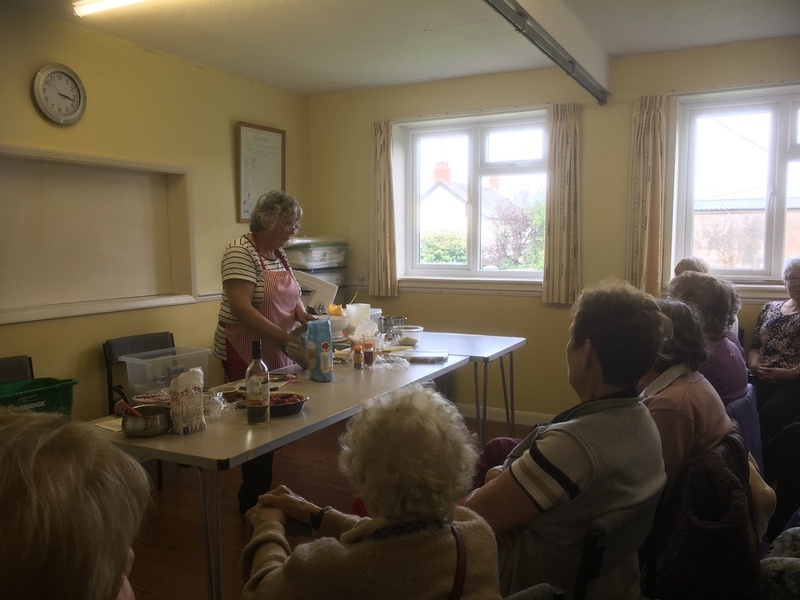 23 ladies enjoyed the cooking skills of fellow member Jean Nicholls as she showed them how to make 5 sweets using autumn fruits. 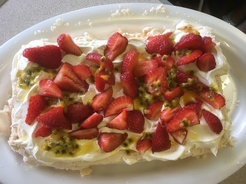 With new recipes and interesting comments and tips from Jean everyone agreed it was a wonderful way to spend an afternoon - with the added bonus of being able to try them at the end! 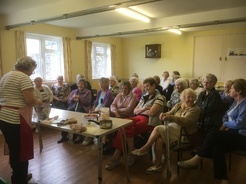 Ladies Club meets on the FIRST WEDNESDAY of the month from September to June. 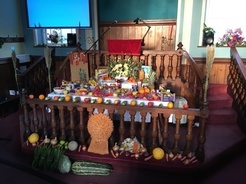 Parkham celebrated Harvest with a beautiful display of produce, much of which was grown locally. 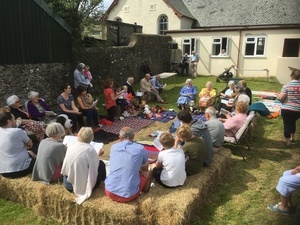 Our Sunday service which was shared by friends from St James, the village and the local area was led by Roy Johns and he focused on the need to share a food and spiritual harvest with others. The collection on the day was �194 which was given to Water Aid. 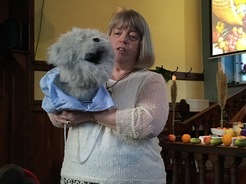 On Tuesday night the minister Rev Stephen Hill took the harvest service and he was assisted by Betson Hill as she told the story of the mustard seed to the congregation and Scruffy the puppet. 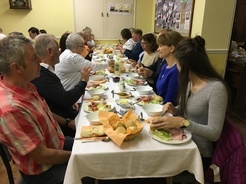 We feasted on a 3 course supper provided and served by members and friends of the Chapel. The young people carried through all the produce from the Chapel and this was ably auctioned by Lester Bird. The whole evening produced a profit of �542 which will be used by the Chapel to fund its work and witness.